GENERAL DIRECTIONS: PREHEAT OVEN TO 350 DEGREES. COMBINE ALL PACKAGES IN A MIXING BOWL. POUR IN ONE (12 OZ. CAN) OF BEER (ROOM TEMPERATURE), AND STIR UNTIL BLENDED. 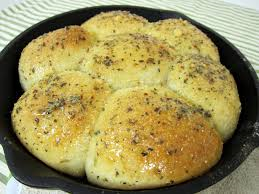 POUR BATTER INTO A WELL GREASED BREAD PAN (9X5X4-INCH) OR SPRAY WITH A NON-STICK COOKING SPRAY. MELT 3 TABLESPOONS BUTTER AND POUR OVER THE BREAD BATTER. BAKE 55-60 MINUTES OR UNTIL BREAD BEGINS TO PULL AWAY FROM SIDES OF PAN. YIELD ONE LOAF. If you ever want just a wonderful great white bread, here it is. Hot out of the oven, what more could you want? Why not bake a fresh loaf and take to your neighbor and impress them with your baking skills? Plus, these breads are quick and easy, all you add is a 12 oz. can of beer, mix and bake. INGREDIENTS: SELF-RISING ENRICHED FLOUR BLEACHED ((WHEAT FLOUR, LEAVENING (SODIUM ALUMINUM PHOSPHATE, BAKING SODA, CALCIUM SULFATE, MONO CALCIUM PHOSPHATE), SALT, MALTED BARLEY FLOUR, NIACIN, IRON , THIAMIN MONONITRATE, RIBOFLAVIN, FOLIC ACID)) AND SUGAR. Cheese and Bacon in a bread! Who knew that could taste so great? Not only great tasting but quick and easy to prepare. 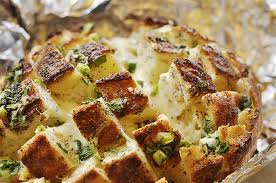 A great cheese bread mix with a little kick of flavor. Quick and easy recipe; just add one 12 oz. can of beer (or substitute w/ginger ale, or club soda), mix, and bake. 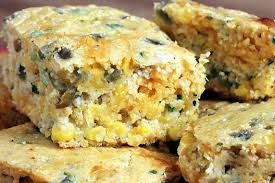 LEAVENING (SODIUMALUMINUM PHOSPHATE , BAKING SODA, CALCIUM SULFATE , MONOCALCIUMPHOSPH ATE ), SALT , MALTED BARLEY FLOUR, NIACIN, IRON , THIAMINMONONITRATE , RIBOFLAVIN, FOLIC ACID)), SUGAR, JALAPENO MIX (DEHYDRATED VEGETABLES (JALAPENO , BELL PEPPERS , ONION , GARLIC, HORSERADISH ), SALT , HYDROLYZED SOY PROTEIN, SPICE, PAPRIKA, NATURAL AND ARTIFICIAL FLAVOR , DISODIUMINOSINATE AND GUANYLATE , EXTRACTIVE OF PAPRIKA), PARMESAN/ROMA NO CHEESE (CULTURED PASTEURIZED PART SKIM AND WHOLE MILK, SALT, AND ENZYMES. MICROCRYSTALLINE CELLULOSE USED FOR ANTI-CAKING), CARROT , ONION , TOMATO , PEAS, CELERY , GREEN BELL PEPPER , GREEN BEANS , PARSLEY , AND NATURAL AND ARTIFICIAL FL AVORS . 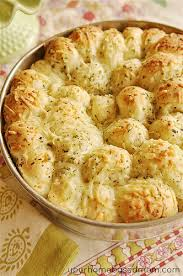 A garlic and cheese flavored pull apart beer bread. Enjoy and have fun. INGREDIENTS: SELF-RISING ENRICHED FLOUR BLEACHED ((WHEAT FLOUR, LEAVENING (SODIUM ALUMINUM PHOSPHATE, BAKING SODA, CALCIUM SULFATE, MONOCALCIUM PHOSPHATE), SALT, MALTED BARLEY FLOUR, NIACIN, IRON, THIAMIN MONONITRATE, RIBOFLAVIN, FOLIC ACID)), SUGAR, PARMESAN CHEESE ((PASTEURIZED PART SKIM MILK, SALT, ENZYMES, CULTURES.) CELLULOSE POWDER TO PREVENT CAKING), AND GRANULATED GARLIC. 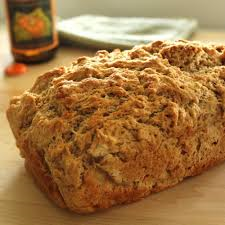 Our great Irish soda bread mix! These breads are quick and easy, all you add is a 12 oz. can of beer, mix and bake. NIACIN, IRON, THIAMIN MONONITRATE, RIBOFLAVIN, FOLIC ACID)), SUGAR AND RAISINS. 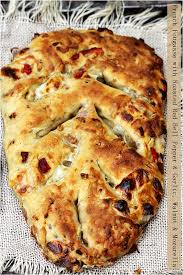 A great beer bread mix full of Italian flavors. These breads are quick and easy, all you add is a 12 oz. can of beer, mix and bake. 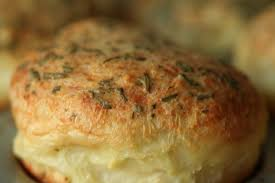 INGREDIENTS: SELF-RISING ENRICHED FLOUR BLEACHED ((WHEAT FLOUR, LEAVENING (SODIUM ALUMINUM PHOSPHATE, BAKING SODA, CALCIUM SULFATE, MONOCALCIUM PHOSPHATE), SALT, MALTED BARLEY FLOUR, NIACIN, IRON, THIAMIN MONONITRATE, RIBOFLAVIN, FOLIC ACID)), SUGAR, MARJORAM, ROSEMARY, THYME AND OTHER SPICES. 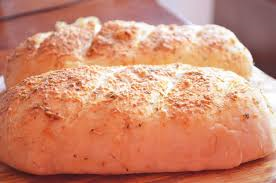 A great beer bread mix full of Italian flavors and parmesan cheese. 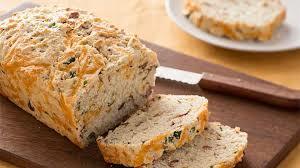 Simple and delicious, plus these breads are quick and easy, all you add is a 12 oz. can of beer, mix and bake. INGREDIENTS: SELF-RISING ENRICHED FLOUR BLEACHED ((WHEAT FLOUR, LEAVENING (SODIUM ALUMINUM PHOSPHATE, BAKING SODA, CALCIUM SULFATE, MONO CALCIUM PHOSPHATE ), SALT, MALTE D BARLEY FLOUR, NIACIN, IRON, THIAMIN MONONITRATE , RIBOFLAVIN, FOLIC ACID)), SUGAR, PARMESAN/ROMANO CHEESE (CULTURED PASTEURIZED PART SKIM AND WHOLE MILK , SAL T, AND ENZYM ES. MICRO CRYSTALLINE CELLULOSE USED FOR ANTI-CAKING), MARJORAM, ROSEMARY, THYME AND OTHER SPICES. 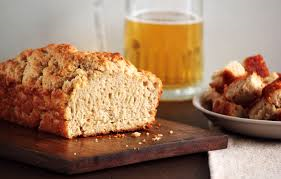 This is another great classic beer bread mix. 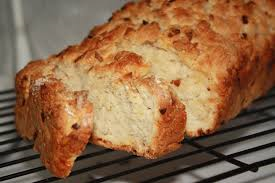 If you enjoy the simple taste of beer bread, definitely try this! These breads are quick and easy, all you add is a 12 oz. can of beer, mix and bake. INGREDIENTS: SELF-RISING EN RICHED FLOUR BLEACHED ((WHEAT FLOUR, LEAVENING (SODIUM ALUMINUM PHOSPHATE , BAKING SODA, CALCIUMSULFATE , MONOCALCIUMPHOSPHATE ), SALT, MALTE D BARLEY FLOUR, NIACIN, IRON , THIAMINMONONITRATE, RIBOFLAVIN, FOLIC ACID)) AND SUGAR. Southwest flavors in a delicious, quick and easy beer bread mix. NIACIN, IRON , THIAMIN MONONITRATE, RIBOFLAVIN, FOLIC ACID)), SUGAR, PARMESAN CHEESE ((PASTEURIZED PART SKIM MILK, SALT, ENZYMES, CULTURES .) CELLULOSE POWDER TO PREVENT CAKING), CHOPPED ONIONS, CHILI POWDER BLEND (CHILI PEPPER , CUMIN, SALT, OREGANO , NATURAL FLAVORS, PEPPER, LESS THAN 2% SILICON DIOXIDE ADDED TO PREVENT CAKING), RED PEPPER, CUMIN, GARLIC, AND OREGANO. Not a significant source of saturated fat. Not a significant source of cholesterol. 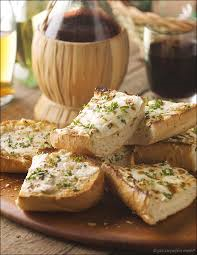 This is our classic beer bread with a touch of basil and parmesan cheese. These breads are quick and easy, all you add is a 12 oz. can of beer, mix and bake. INGREDIENTS: SELF-RISING ENRICHED FLOUR BLEACHED ((WHEAT FLOUR, LEAVENING (SODIUM ALUMINUM PHOSPHATE, BAKING SODA, CALCIUM SULFATE, MONO CALCIUM PHOSPHATE), SALT, MALTED BARLEY FLOUR, NIACIN, IRON , THIAMIN MONONITRATE, RIBOFLAVIN, FOLIC ACID)), SUGAR, PARMESAN/ROMANO CHEESE (CULTURED PASTEURIZED PART SKIM AND WHOLE MILK,SALT, AND ENZYMES. MICRO CRYSTALLINE CELLULOSE USED FOR ANTI-CAKING), BASIL, GRANULATED GARLIC AND BLACK PEPPER. 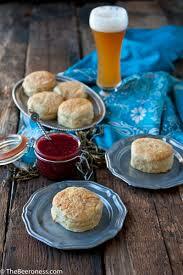 A great tasting beer biscuit. Ginger ale or club soda can be substituted for the beer. INGREDIENTS: SELF-RISING ENRICHED FLOUR BLEACHED ((WHEAT FLOUR, LEAVENING (SODIUM ALUMINUM PHOSPHATE, BAKING SODA, CALCIUM SULFATE, MONOCALCIUM PHOSPHATE), SALT, MALTED BARLEY FLOUR, NIACIN, IRON, THIAMIN MONONITRATE, RIBOFLAVIN, FOLIC ACID)) AND SUGAR. What a great bread! This reminds you of that great onion appetizer. These breads are quick and easy, all you add is 12 oz. can of beer, mix and bake. 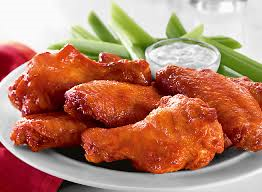 INGREDIENTS: SELF-RISING ENRICHED FLOUR BLEACHED ((WHEAT FLOUR, LEAVENING (SODIUM ALUMINUM PHOSPHATE, BAKING SODA, CALCIUM SULFATE, MONOCALCIUM PHOSPHATE), SALT, MALTED BARLEY FLOUR, NIACIN, IRON, THIAMIN MONONITRATE, RIBOFLAVIN, FOLIC ACID)), SUGAR, BLOOMING ONION PACKET (FX)-((CORN STARCH, DEHYDRATED VEGETABLES (ONION, BELL PEPPERS, GARLIC), SALT, NATURAL FLAVOR, SUGAR, AUTOLYZED YEAST EXTRACT, SPICE, DISODIUM INOSINATE AND GUANYLATE, AND LESS THAT 2% SILICON DIOXIDE ADDED TO PREVENT CAKING)) AND PAPRIKA. If you ever want just a wonderful, buffalo taste in your bread, here it is. Hot out of the oven, what more could you want? 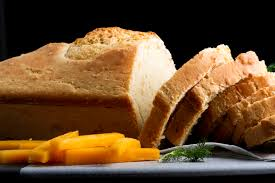 Why not bake a fresh loaf and take to your neighbor and impress them with your baking skills? Plus, these breads are quick and easy, all you add is a 12 oz. can of beer, mix and bake. PAPRIKA, SALT, DEHYDRATED VEGETABLES (JALAPENO PEPPERS, BELL PEPPERS, HORSERADISH, GARLIC), DRY PARSLEY, CAYENNE PEPPER AND HYDROLYZED VEGETABLE PROTEIN. 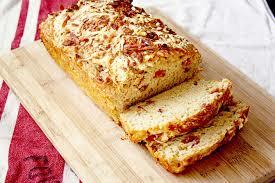 Enjoy this bread with its great cheddar flavor and bacon pieces. It would make a great tomato sandwich. These breads are quick and easy to make just add a 12 oz can of beer, mix and bake. INGREDIENTS: SELF-RISING ENRICHED FLOUR BLEACHED ((WHEAT FLOUR, LEAVENING (SODIUM ALUMINUM PHOSPHATE, BAKING SODA, CALCIUM SULFATE, MONOCALCIUM PHOSPHATE), SALT, MALTED BARLEY FLOUR, NIACIN, IRON, THIAMIN MONONITRATE, RIBOFLAVIN, FOLIC ACID)), SUGAR, CHEDDAR CHEESE POWDER ((WHEY, DEHYDRATED CHEDDAR, ROMANO AND PARMESAN CHEESES (WHEY, MALTODEXTRIN, CHEDDAR AND ROMANO CHEESES (PASTEURIZED CULTURED MILK, ENZYMES, CULTURES, SALT), NATURAL PARMESAN AND ROMANO FLAVORS, PARTIALLY HYDROGENATED SOYBEAN OIL, REDUCED LACTOSE WHEY, SALT, SODIUM PHOSPHATE, MILK, DISODIUM PHOSPHATE, CREAM, CULTURES, ENZYMES, CITRIC ACID, LACTIC ACID, YELLOW #5 AND #6) BUTTERMILK, SALT, NONFAT DRY MILK, DEHYDRATED ONION, LACTIC ACID)), IMITATION BACON FLAVORED CHIPLETS (TEXTURED VEGETABLE PROTEIN (SOY FLOUR, CARAMEL COLOR, RED 3), SOYBEAN OIL, SALT, NATURAL FLAVORING, HYDROLYZED CORN-SOY-WHEAT PROTEIN) AND DEHYDRATED ONION. 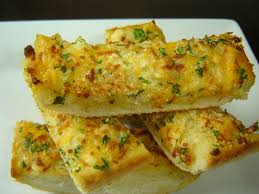 If you like garlic and cheese flavors, you will love this bread. These breads are quick and easy, all you add is a 12 oz. can of beer, mix and bake. INGREDIENTS: SELF-RISING ENRICHED FLOUR BLEACHED ((WHEAT FLOUR, LEAVENING (SODIUM ALUMINUM PHOSPHATE, BAKING SODA, CALCIUM SULFATE, MONOCALCIUM PHOSPHATE), SALT, MALTED BARLEY FLOUR, NIACIN, IRON, THIAMIN MONONITRATE, RIBOFLAVIN, FOLIC ACID)) SUGAR, DEHYDRATED RED BELL PEPPERS, PARMESAN/ROMANO CHEESE (CULTURED PASTEURIZED PART SKIM AND WHOLE MILK , SALT , AND ENZYMES . MICRO CRYSTALLINE CELLULOSE USED FOR ANTI-CAKING), GRANULATED GARLIC, NATURAL ROASTED GARLIC FLAVOR POWDER AND DRIED CHOPPED ONION. What a great combination. Cheese with a jalapeno bite to it. I love this cheesy flavor with a punch of heat like you just bit into a jalapeno. These breads are quick and easy, all you add is a 12 oz. can of beer, mix and bake. INGREDIENTS: SELF-RISING ENRICHED FLOUR BLEACHED ((WHEAT FLOUR, LEAVENING (SODIUM ALUMINUM PHOSPHATE, BAKING SODA, CALCIUM SULFATE, MONOCALCIUM PHOSPHATE), SALT, MALTED BARLEY FLOUR, NIACIN, IRON, THIAMIN MONONITRATE, RIBOFLAVIN, FOLIC ACID)), SUGAR, DRIED JALAPENO DICES, PARMESAN/ROMANO CHEESE (CULTURED PASTEURIZED PART SKIM AND WHOLE MILK, SALT, AND ENZYMES. MICRO CRYSTALLINE CELLULOSE USED FOR ANTI-CAKING). If you like roasted garlic and cheese flavors, you will love this bread. These breads are quick and easy, all you add is a 12 oz. can of beer, mix and bake. INGREDIENTS: SELF-RISING ENRICHED FLOUR BLEACHED ((WHEAT FLOUR, LEAVENING (SODIUM ALUMINUM PHOSPHATE, BAKING SODA, CALCIUM SULFATE, MONO CALCIUM PHOSPHATE), SALT, MALTED BARLEY FLOUR, NIACIN, IRON, THIAMIN MONONITRATE, RIBOFLAVIN, FOLIC ACID)), SUGAR, PARMESAN/ROMANO CHEESE (CULTURED PASTEURIZED PART SKIM AND WHOLE MILK, SALT, AND ENZYMES. MICRO CRYSTALLINE CELLULOSE USED FOR ANTI-CAKING), ONIONS, PARSLEY, CELERY SEED, GARLIC AND SEASONED SALT (SALT, ONION POWDER, GARLIC, TURMERIC, PAPRIKA). 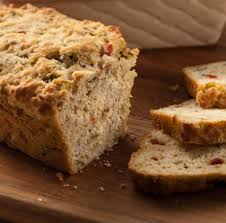 Our roasted garlic and red bell pepper beer bread mix is packed full of flavor. These breads are quick and easy, all you add is a 12 oz. can of beer, mix and bake. INGREDIENTS: SELF-RISING ENRICHED FLOUR BLEACHED ((WHEAT FLOUR, LEAVENING (SODIUM ALUMINUM PHOSPHATE, BAKING SODA, CALCIUM SULFATE, MONOCALCIUM PHOSPHATE), SALT, MALTED BARLEY FLOUR, NIACIN, IRON, THIAMIN MONONITRATE, RIBOFLAVIN, FOLIC ACID)), SUGAR, RED BELL PEPPERS DRIED, GRANULATED GARLIC, DRIED ONIONS, NATURAL FLAVORING AND SALT. 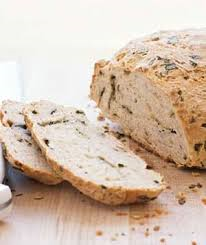 Our great beer bread mix full of delicious parmesan cheese and fresh rosemary flavors! These breads are quick and easy, all you add is 12 oz. can of beer, mix and bake. INGREDIENTS: SELF-RISING ENRICHED FLOUR BLEACHED ((WHEAT FLOUR, LEAVENING (SODIUM ALUMINUM PHOSPHATE, BAKING SODA, CALCIUMSULFATE, MONOCALCIUM PHOSPHATE), SALT, MALTED BARLEY FLOUR, NIACIN, IRON, THIAMIN MONONITRATE, RIBOFLAVIN, FOLIC ACID)), SUGAR, pARMESAN/romano CHEESE (CULTURED PASTEURIZED Part skim AND WHOLE milk , salt , AND enzymes . MICRO CRYSTALLINE CELLULOSE USED FOR ANTI-CAKING) and ROSEMARY. 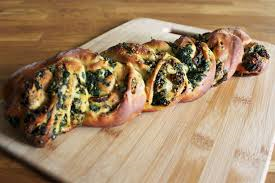 This beer bread mix has a great blend of spinach and parmesan cheese flavors. These breads are quick and easy, all you add is a 12 oz. can of beer, mix and bake. 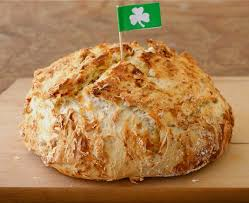 INGREDIENTS: SELF-RISING ENRICHED FLOUR BLEACHED ((WHEAT FLOUR, LEAVENING (SODIUM ALUMINUM PHOSPHATE, BAKING SODA, CALCIUM SULFATE, MONOCALCIUM PHOSPHATE), SALT, MALTED BARLEY FLOUR, NIACIN, IRON, THIAMIN MONONITRATE, RIBOFLAVIN, FOLIC ACID)), SUGAR, SPINACH, PARMESAN/ROMANO CHEESE (CULTURED PASTEURIZED PART SKIM AND WHOLE MILK , SALT , AND ENZYMES . MICRO CRYSTALLINE CELLULOSE USED FOR ANTI-CAKING), ONIONS AND CHEDDAR CHEESE POWDER ((WHEY, DEHYDRATED CHEDDAR, ROMANO AND PARMESAN CHEESES (WHEY, MALTODEXTRIN, CHEDDAR AND ROMANO CHEESES (PASTEURIZED CULTURED MILK, ENZYMES, CULTURES, SALT), NATURAL PARMESAN AND ROMANO FLAVORS, PARTIALLY HYDROGENATED SOYBEAN OIL, REDUCED LACTOSE WHEY, SALT, SODIUM PHOSPHATE, MILK, DISODIUM PHOSPHATE, CREAM, CULTURES, ENZYMES, CITRIC ACID, LACTIC ACID, YELLOW #5 AND #6) BUTTERMILK, SALT, NONFAT DRY MILK, DEHYDRATED ONION, LACTIC ACID)). 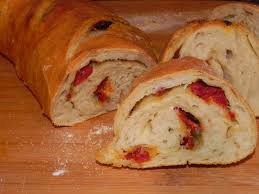 A great beer bread mix full of tomato and cheese flavors! Easy to make just add a 12oz can of beer, mix and bake. DRIED BASIL, AND GRANULATED GARLIC. 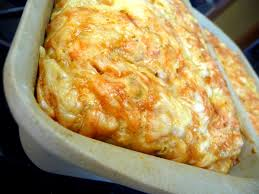 A wonderful beer bread full of cheese flavors! These breads are quick and easy, all you add is a 12 oz. can of beer, mix and bake. INGREDIENTS: SELF-RISING ENRICHED FLOUR BLEACHED ((WHEAT FLOUR, LEAVENING (SODIUM ALUMINUM PHOSPHATE, BAKING SODA, CALCIUM SULFATE, MONOCALCIUM PHOSPHATE), SALT, MALTED BARLEY FLOUR, NIACIN, IRON, THIAMIN MONONITRATE, RIBOFLAVIN, FOLIC ACID)), SUGAR, CHEDDAR CHEESE POWDER ((WHEY, DEHYDRATED CHEDDAR, ROMANO AND PARMESAN CHEESES (WHEY, MALTODEXTRIN, CHEDDAR AND ROMANO CHEESES (PASTEURIZED CULTURED MILK, ENZYMES, CULTURES, SALT), NATURAL PARMESAN AND ROMANO FLAVORS, PARTIALLY HYDROGENATED SOYBEAN OIL, REDUCED LACTOSE WHEY, SALT, SODIUM PHOSPHATE, MILK, DISODIUM PHOSPHATE, CREAM, CULTURES, ENZYMES, CITRIC ACID, LACTIC ACID, YELLOW #5 AND #6) BUTTERMILK, SALT, NONFAT DRY MILK, DEHYDRATED ONION, LACTIC ACID)), AND PARMESAN/ ROMANO CHEESE (CULTURED PASTEURIZED PART SKIM AND WHOLE MILK , SALT , AND ENZYMES . MICRO CRYSTALLINE CELLULOSE USED FOR ANTI-CAKING).